SAI was responsible for the preliminary and final roadway and structure design of four miles of new four-lane expressway over Maple Creek, Wheeling and Lake Erie Railroad, and a state road. Four miles of new expressway. Two 10′ x 8′ box culverts. One 570′ three-span continuous curved multi-girder bridge over Turnpike Mainline. One 1,000′ four-span dual continuous curved multi-girder bridge over Maple Creek, state road, and Wheeling & Lake Erie Railroad. 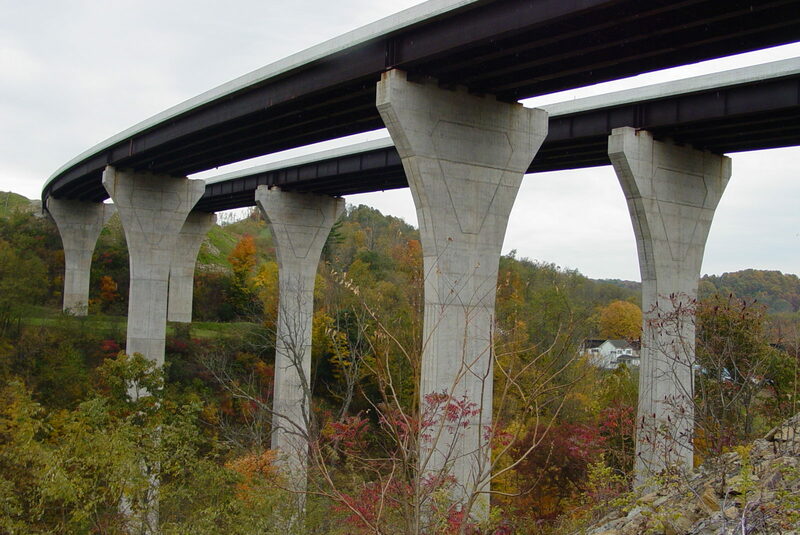 Maple Creek bridge – 200′-tall piers. Traffic control and pavement marking plans. 1999 ABCD Outstanding New Major Bridge Award.